These Australian guys are one of the bands and dj's I respect the most among the industry. They have proven me that they are creative masters and, since they started working way back with Gameboy/Gamegirl, they've always given me a reason to believe they are unique and great in what they do. They are releasing their new album "Illumination" early next year and we already have the first hint of what its going to sound like. The track is called "Sometimes" and even though it has the "Bravado" stlyle, I think you can totally tell these guy's have grown as a band and settled in their beloved style. Im really loocking forward to their next material, the sneak peak they give us is simply great. I leave you with the video for the song as well, beautifully delivered. Plus Josh has a side project going on called Peacocks, which is probably the party hard side of Miami Horror; its way more intense and great for dancing, show them some love. 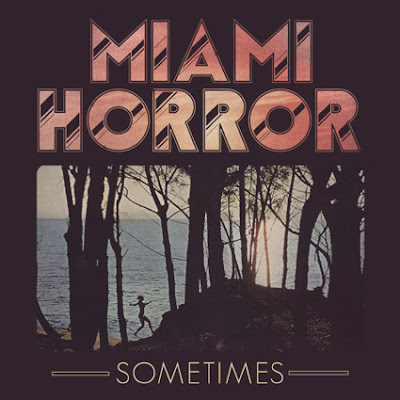 Heres Miami Horror's "Sometimes" and Peacocks remix of Former Child Stars "Safe in Silence" hope you like them.